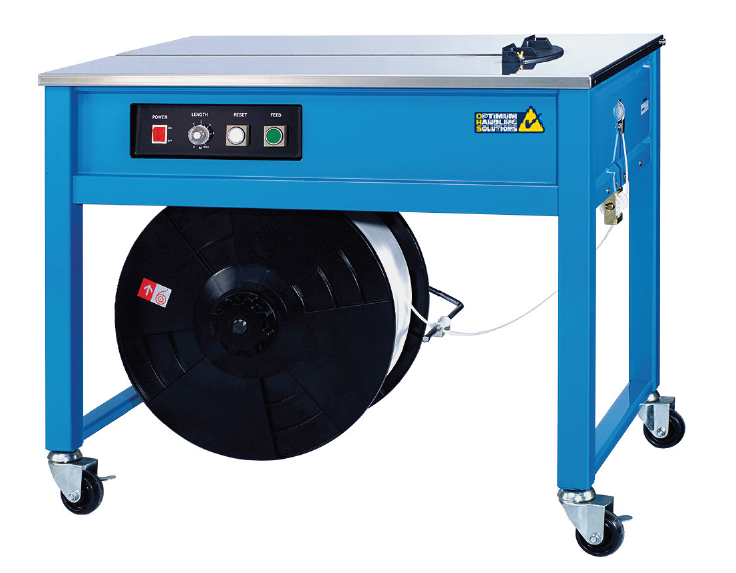 The Optimum semi-auto strapping machine units are affordable for every budget. All OHS-TM models suit PP strap width 6-15.5mm. 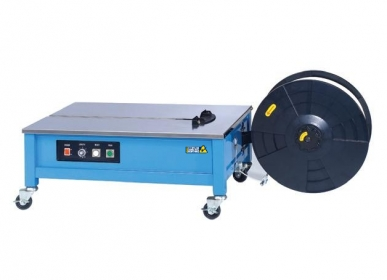 These strapping machines are easy to operate, simple to maintain and ideal for low volume, carton strapping use. The OHS-TM models come in both closed or open designs. The width of the slide table is small, allowing for simple bundling of pipes and irregular shaped objects. Replacement PC Board is easy. If you'd like more information or if you have any enquiries about the Strapping Machine for Low Volume, please call 1800 066 008 or click HERE to contact us online and we will contact you. 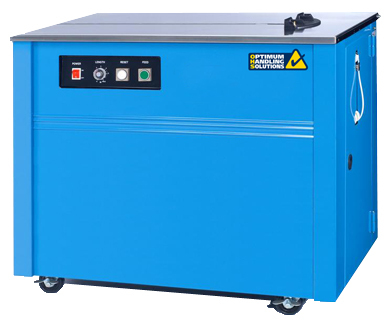 The Optimum Strapping Machine for Irregular Packages, TMS300L is a low profile model designed to accommodate tall or heavy packages. All OHS-TM models suit PP strap width 6-16mm. 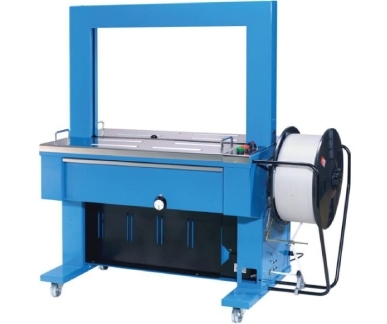 If you'd like more information or if you have any enquiries about the Strapping Machine for Irregular Packages, please call 1800 066 008 or click HERE to contact us online and we will contact you. The Optimum Strapping Machine for High Volume provides the safe, efficient and convenient solution when packaging products in industries such as warehousing, transport, distribution centres, etc. This model designed to accommodate high speed strapping applications – capable of up to 30 straps per minute. It suits PP strap width 8-15mm. If you'd like more information or if you have any enquiries about the Strapping Machine for High Volume, please call 1800 066 008 or click HERE to contact us online and we will contact you.